If you haven’t guessed from my #100LippyDays adventure, let me be clear – I LOVE LIPSTICK. LOVE LOVE LOVE LURVE the stuff. One thing that became abundantly clear is how much High Street and drugstore brands have really upped their lipstick game. Where once they were horribly waxy, cheap smelling bullets that I reluctantly dragged across my lips, the formulas of some now rival the luxe brands. I am a lipstick snob no more. One brand in particular that I’ve been impressed with is Danish brand GOSH which is stocked in Superdrug. 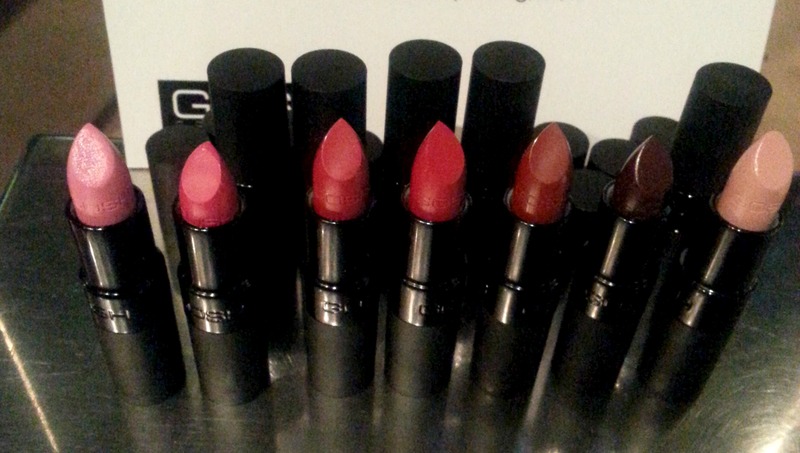 Texture and colour wise, GOSH Velvet Touch lipsticks remind me a little of Nars. The Velvet Touch lipsticks are pigment packed with zero shimmer and a very creamy finish that’s not quite matte. There is some variety in terms of the coverage though. 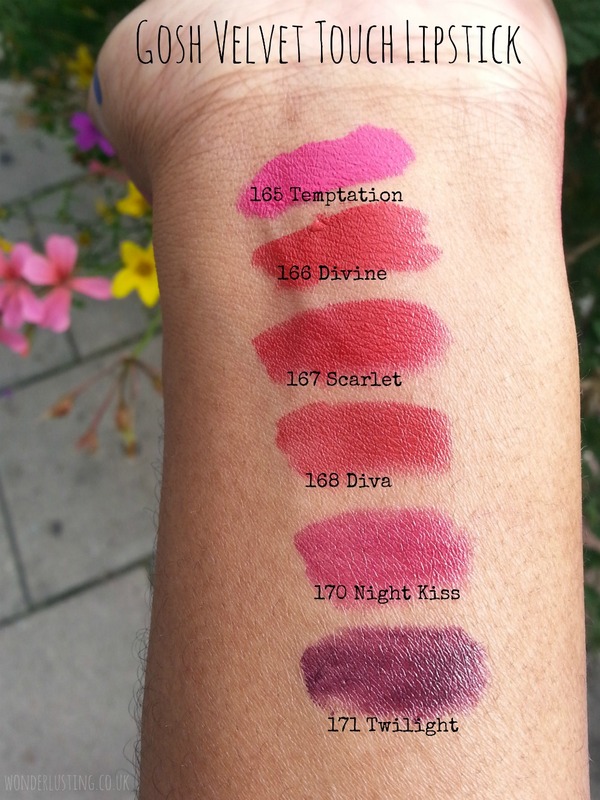 You’ll notice from the swatches that some of the lipsticks give amazing colour payoff and completely opaque coverage in one swipe while others are slightly sheerer and glossier but can be built up. I would have loved the vampy Twilight to be more opaque. 168 Diva is a rich brick red that can be built from a single sheer layer to the deep colour shown above. 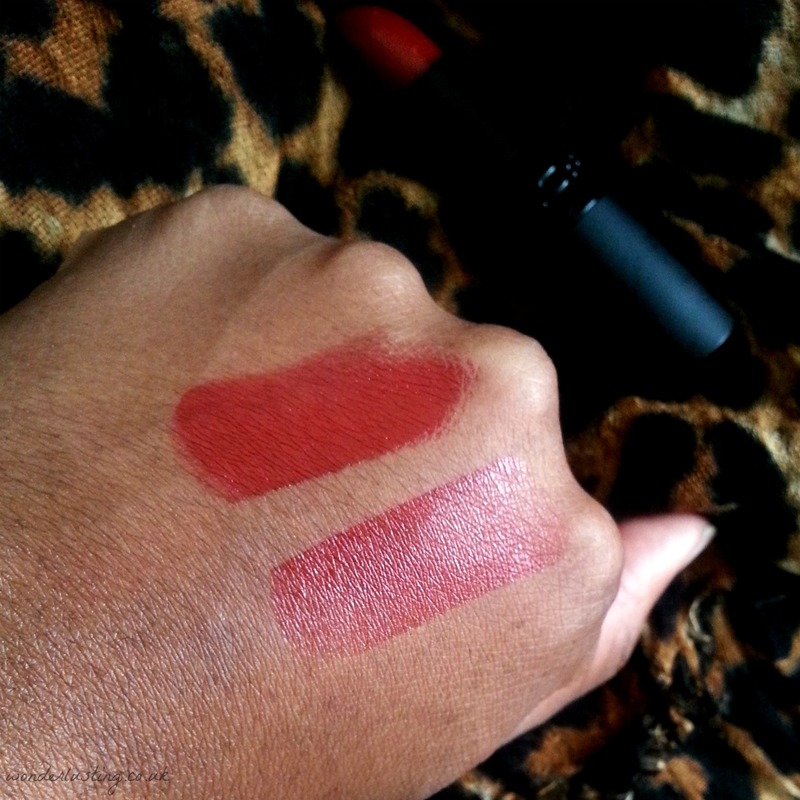 The lipstick felt very comfortable and hydrating on the lips, always a plus in the cold weather, and applied smoothly. I detected a slight cocoa buttery smell which I like. There is no long-lasting claim which doesn’t bother me. More importantly to me the colour wore off evenly so I didn’t have to keep checking or worry about what I call Lipstick Perimeter Offence. The lipstick could be removed easily and didn’t leave an unwanted stain. They are really good value for money and in blind tests would certainly give department store lipsticks a run for their money. Have you tried GOSH? What other products do they do well? The shade diva looks great on you! Thank you! Have you tried any of the colours? I haven’t tried any GOSH products, but I might after reading this post! I’ve only got one – an orange – will have to go and check that colour out. Thanks!